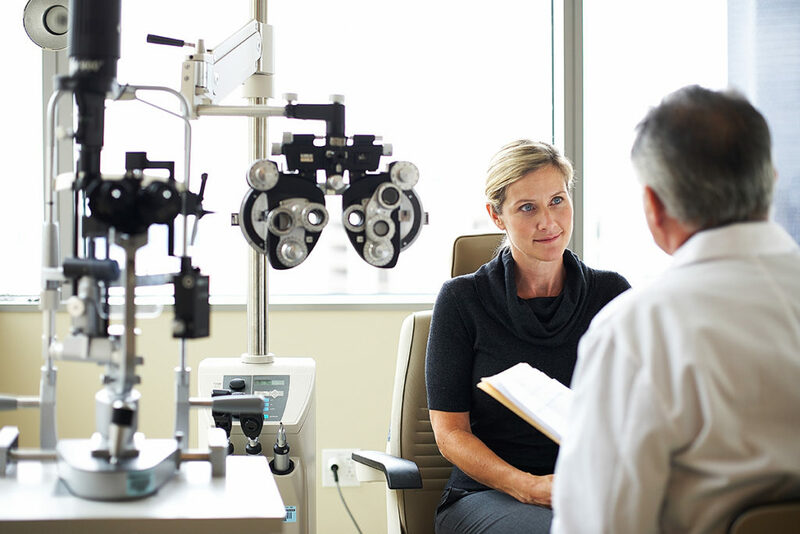 Diabetes and its complications can affect many parts of the eye. Diabetes can cause changes in nearsightedness, farsightedness and premature presbyopia (the inability to focus on close objects). It can result in cataracts, glaucoma, paralysis of the nerves that control the eye muscles or pupil, and decreased corneal sensitivity. 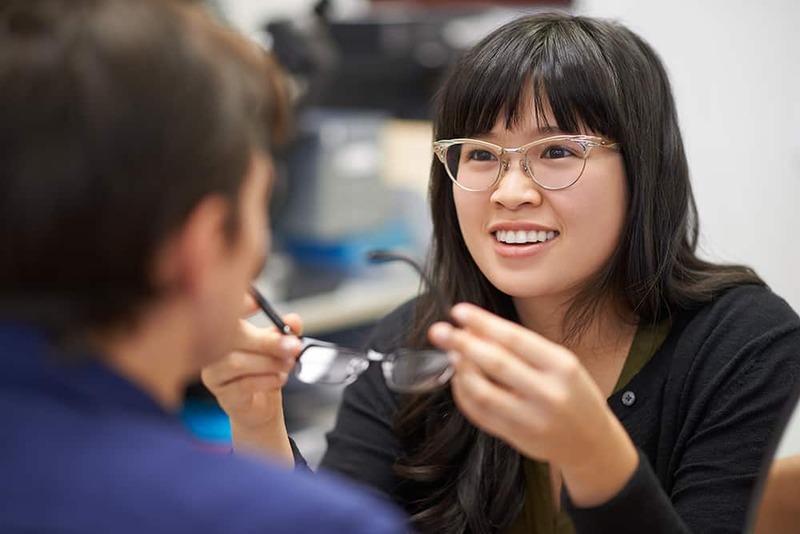 Visual symptoms of diabetes include fluctuating or blurring of vision, occasional double vision, loss of visual field, and flashes and floaters within the eyes. Sometimes these early signs of diabetes are first detected in a thorough eye examination performed by a doctor of optometry. The most serious eye problem associated with diabetes is diabetic retinopathy. Diabetes may affect all blood vessels in your body, including those inside your eye. Diabetic retinopathy occurs when there is a weakening or swelling of the tiny blood vessels in the retina of your eye, resulting in blood leakage, the growth of new blood vessels and other changes. If diabetic retinopathy is left untreated, blindness can result. 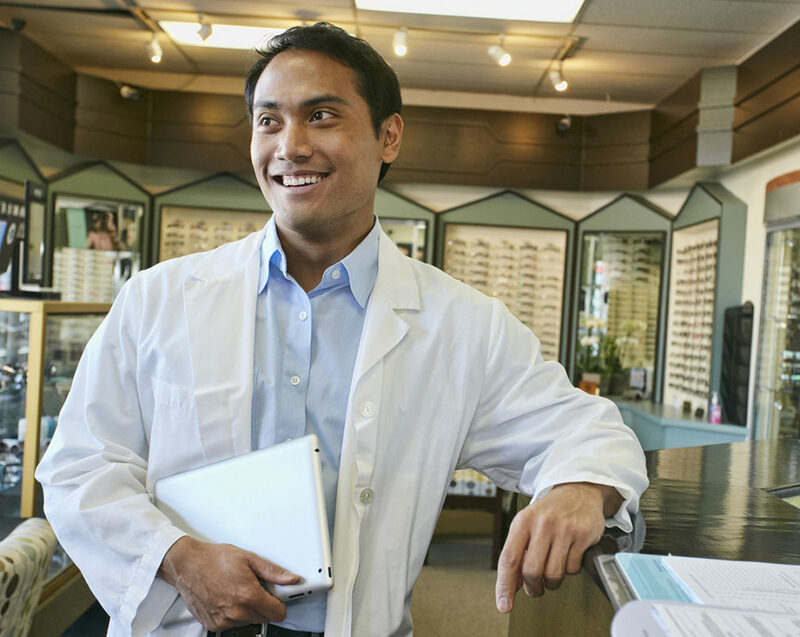 Yes, in a routine eye examination, your doctor of optometry can diagnose potential vision threatening changes in your eye that may be treated to prevent blindness. However, once damage has occurred, the effects can be permanent. It is important to control your diabetes as much as possible to minimize your risk of developing retinopathy. 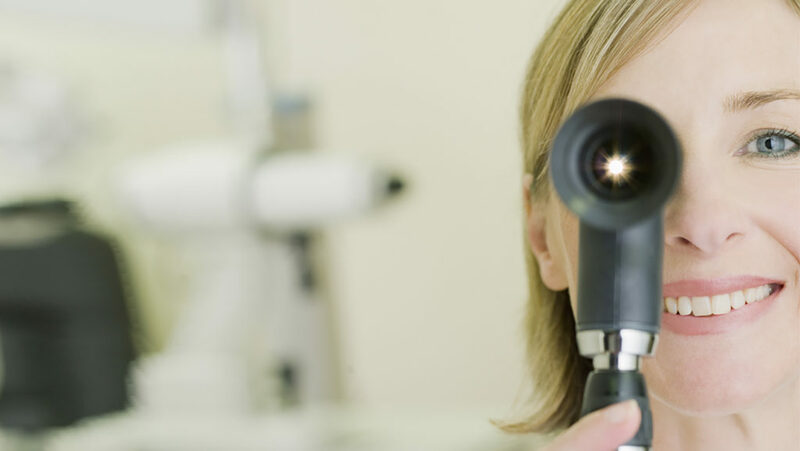 In the early stages, diabetic retinopathy is monitored through eye health examinations. If necessary, it may be treated with intraocular injections of anti-VEGF therapy (Lucentis, Avastin, Eylea) or laser therapy. A bright beam of light is focused on the retina, causing a laser burn that seals off leaking blood vessels. In other cases, retinal surgery may be necessary. Early detection of diabetic retinopathy is crucial, as treatment is much more likely to be successful at an early stage. Several factors that increase the risk of developing diabetic retinopathy include poorly controlled blood sugar levels, the number of years you have had diabetes, smoking, high blood pressure, drinking alcohol and pregnancy.